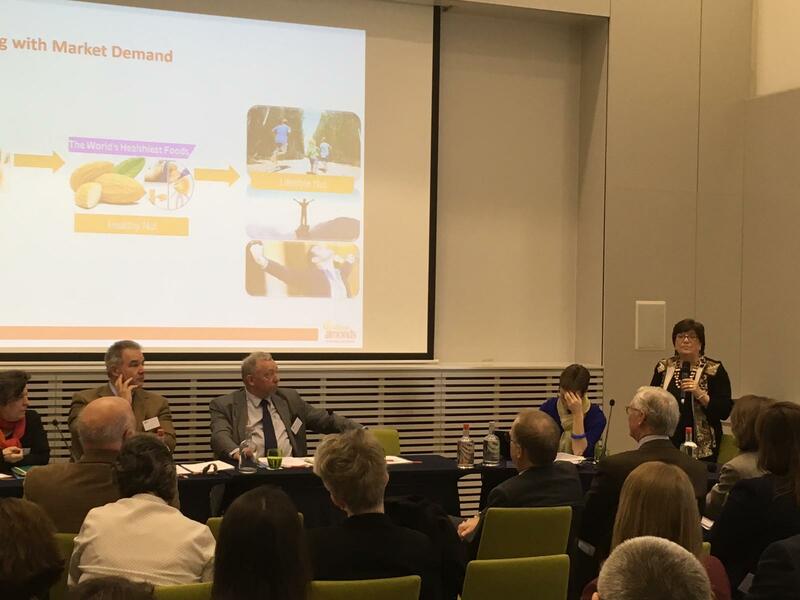 FRUCOM Annual General Assembly Open Discussion Session were held on 22nd of March 2019, in Brussels / Belgium. As being an "affiliated member” of FRUCOM, Istanbul Hazelnuts and Products Exporters Association participated to the program. This year's FRUCOM'S General Assembly featured a program as Joint Working Groups of Dried Fruit and Nuts meeting including keynote speakers and instructive discussions on recent developments and projections about European Official Controls Regulation and trade policy. By attendance of more than 60 participants, the program of FRUCOM was a really fruitful platform for stakeholders to share experience and evaluate recent developments. Additionally, the participants also attend to CELCAA Trade Conference where the officials from European Commission and representatives of food associations made presentations.